Isn't she just adorable? 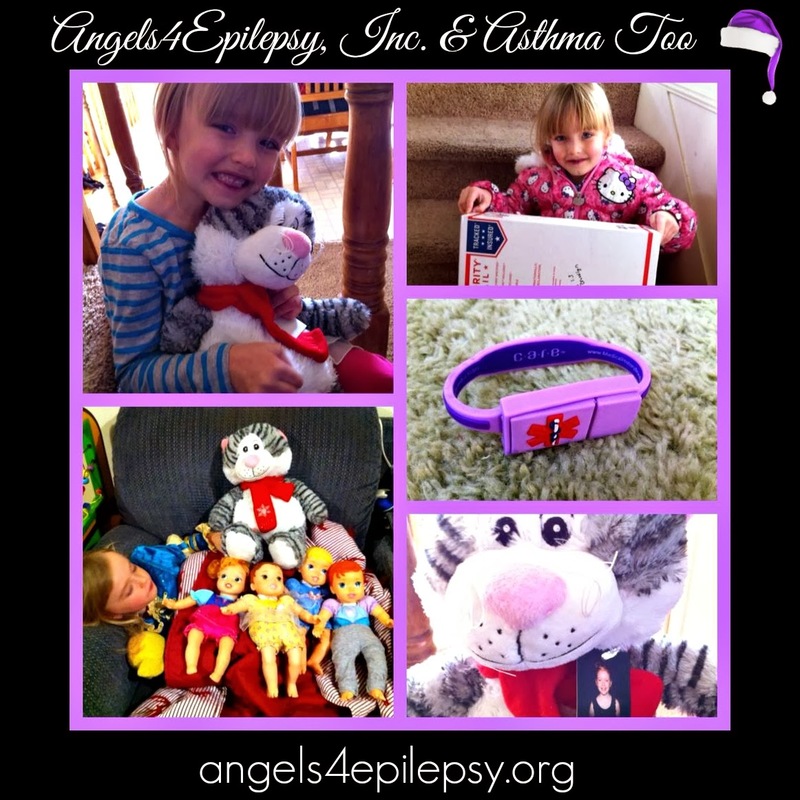 Another little one with her gifts of a stuffed animal, USB bracelet and I Have Epilepsy. It Doesn't Have Me book written by now 10 year old Jamie from the girls just in time for Christmas! Special thanks to PetSmart and the community for the PetSmart Lucky and Chance stuffed animal donations. Visit your local PetSmart to support your area charities. Her book can be purchased on Amazon.